DotA 6.69 Will Be Released Soon! Last update: DotA 6.69 released! This is very exciting news, Let's see what Quest IceFrog hides in DotA 6.69. Anyway, you can find DotA 6.69 Secret Quest guide here on DotA-Utilities right after map release. So, keep your fingers crossed! Can't w8 to take my hands on this phoenix. Go Icefrog keep up the good work. Seems like there won't be any new stuff in this map. But, I still expect some proper balancing to the new heroes especially to Gyrocopter & Ancient Apparition. I hope IceForg fixes them. i just want to play this map only for the hidden quest and phoenix.. but ice said no new stuff wtf? I hope Warlock's Infernal's immolation is now stackable. I can't wait. Can you please faster? Nice job. Warcraft 3 became famous by the time defence of the ancients came out. I believe you have done a great job all this years and please keep it up. owning! cant wait to play 6.69 this so exciting.. Beyond Godlike!! Can't wait to play!!! try to put some sound on a 2~3 assist like Team Kill!! Rampage !! cant wait to use the Pheonix !! Just gonna stand there and watch it changes. That's so alright because I love the way it changes. Loved the game in more than 4yrs already. No happiness in me coz im very slow at clicking heroes so i wont get a chance to USE the PhOeNiX... BUT I WILL KILL ICARUS WIT MY SLARK ... MUAHAHAHHA !!! good job ! really cant wait ! nice 1 icefrog .., but it would be better if it release as soon as possible. the pheonix picture it's from the old map of DotA play for DotA old version will ya? maby it will be released on 10/10/10 woot!!!!! idiots, Icarus on 6.69 is still not a hero like tauren on 6.59(tauren popped out @ 6.60+, if 6.70 pop out... Icarus will be one of 'em. 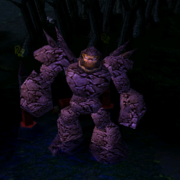 in dota 6.70, i want a fire panda!! 6.69 is great what is the estimated time that 6.69 will be released?? fuckk thissss shittt!!!!! justt fukingg realease the mapp!!!! in my own perspective i think icefrog kinda destroyed the whole warcraft story..
Ice Frog has been the best submitter of news about Dota. Keep up the good work, Ice Frog! I shall wait for 6.69 to be released. I also created an organization about Dota.